In our opinion it is nice to know something about the historical facts of a band. Who are we? What have we done so far? Why do we do what we are actually doing? So … in this section it is possible to get in touch with our development. It was on some day in January 2006 three days shy of Andy’s final exam as a technical draughtsman. We are looking in his room with a whole bunch of folders on his desk but Andy isn’t there. At the same time in a pub in Kulmbach, Andy is sitting at the bar with another musician called Peter. While drinking some beer both of them are discussing about the disastrous situation in the music scene in the neighbourhood. It seems that there are only two styles of music left: metal and party. 2006: The band is founded by Andy and Peter in a pub and the first ads for the musician search are written. The concept: playing the old 80s rock stuff that no one knows anymore, making the old stuff more popular and being a unique band. The dream cast: one male vocalist, two guitar players (Andy and Peter), one keyboarder, one bass player, one drummer … the first one who answers the ad is a female vocalist, Julia … the protagonists decide to make the best of the situation. The band now consists of three band mates. Luckily, Julia knows a bass player … a catholic father … in a rock band? That is pretty cool. His name is Alex and he is an amazing bass player and fantastic human being. Later, his departure was a great loss. But let us go on. Adrenalize has now four band mates and there is still a very important instrument missing: the drums. And again, Julia manages to get in touch with another musician, Thomas. He is a loud and pretty good drummer with an addiction for metal music. The quintet is now able to start the rehearsals. After a short time, the band is going to leave the original concept and the first crises starts. The band needs a male vocalist. Additionally Julia has to leave because she has not got time anymore for the band. The band has no longer a voice. Peter tries from necessity to sing some songs. Andy is infected so he screams in the microphone while playing Skid Row’s 18 & life. Surprisingly it sounds pretty good and the band stops playing. After discussing the past event Andy decided to play the role as the band’s singer. Adrenalize has now skilled instrumentalists and a singer. But there is one last thing missing … the name of the band … Andy goes through his old LPs and the good old Adrenalize album by Def Leppard is falling into his hands. 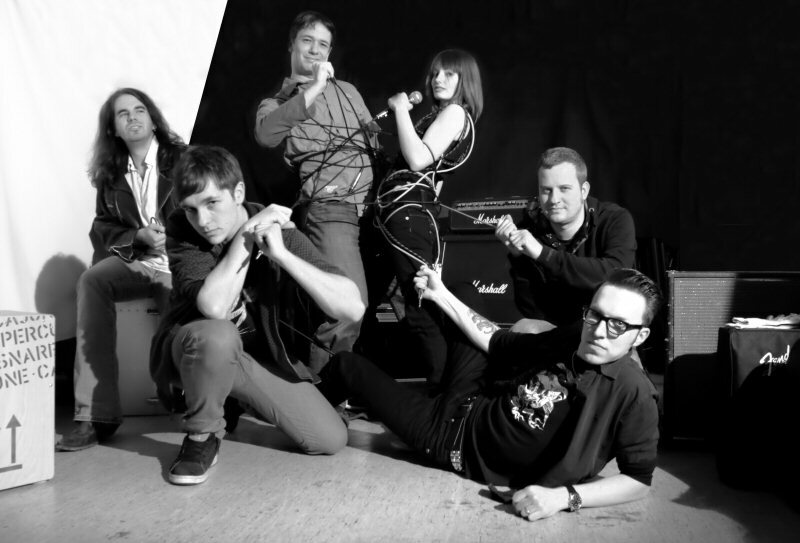 The band is happy about the name and Alex manages to create a banner with the model of Andy’s writing. That banner is still behind the band during live gigs (unless someone forgets it in the rehearsal room 🙂 ). The band gets better and tougher. Next to songs like ‘Beat it’ by Michael Jackson more songs from Skid Row, Bon Jovi and Mötley Crüe find their way to the setlists. 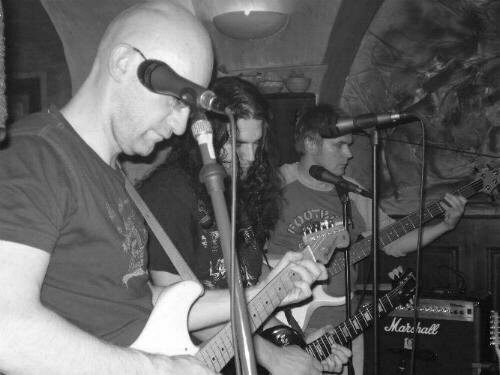 The next gig comes in a pub in autumn 2006 in Kulmbach during a pub festival. The band has to play the whole evening but they have not enough songs. So they play the whole set twice and thanks to a changing crowd it is not a big deal. Densely packed in a corner the second gig is going to start. New experiences are made. The very well played ‘Life goes on’ by Poison only got a spare applause and the worst played ‘Here I go again’ by Whitesnake was one of the best songs according to some visitors. The result is that you can really foozle a well-known song and you get applause and it is very hard to get respect for a very well played unknown song. It’s a long way to the top if you wanna rock n’ roll! After about five hours of rock n’ roll with a cheering audience the last song is played: ‘Rodeo’ by Mötley Crüe. The people are happy, the band is happy, but the innkeeper tries to fool the band with a bar tab which was too high. The band refuses to pay and is satisfied in the moment the pub closes a few years later. Soon after the experience with the last pub the chapter ‘Raylight’ begins. 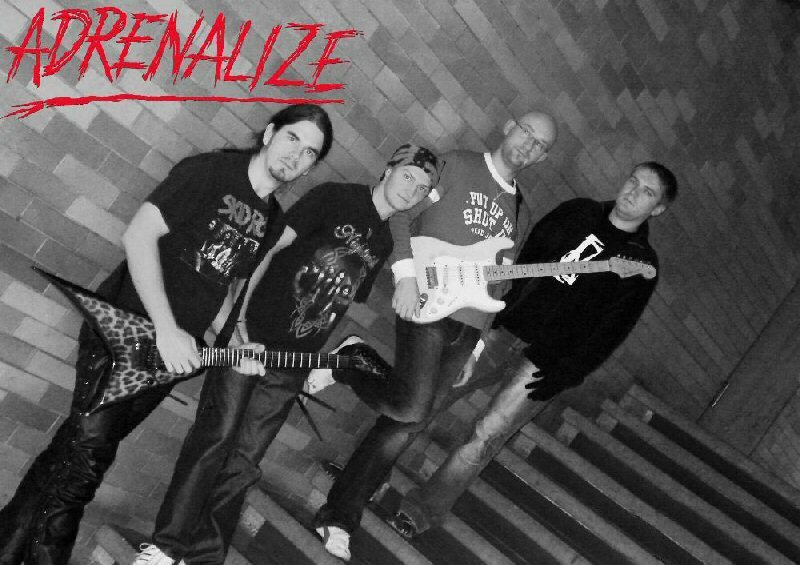 Adrenalize plays two gigs with that band together because they still have too little songs in their repertory. The first gig takes place in the local youth centre and the other at a winter county fair in Katschenreuth. Adrenalize is getting better from gig to gig and after a few arguments with ‘Raylight’ both bands decide to go separate ways. The next gig takes place in an Irish Pub in Untersteinach, the Highlander. The Innkeeper is very friendly and is still a good fellow who gives Andy the chance to play acoustic gigs in his pub. In March 2007 the band and their mixer Mitsch come to the pub and the band does the thitherto-best gig. Next to songs like ‘Heat of the Moment’ by Asia or ‘Shot through the Heart’ by Bon Jovi, Peter and Andy do a little acoustic set with songs like ‘Hole Hearted’ by Extreme or ‘One Life One Soul’ by Gotthard. After the decision the first musicians are found. 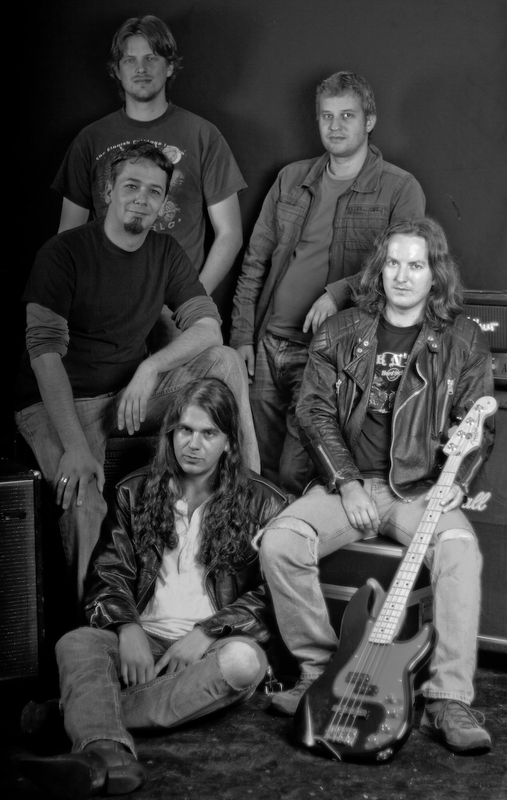 Andy on guitar and voice, Thomas on drums, Domi on lead guitar, Christoph on bass guitar (who is still member of the band) and another Andy on rhythm guitar spend a few rehearsal sessions together with songs like ‘Pull me under’ by Dream Theater or ‘Symphony of Desctruction’ by Megadeth. Domi leaves the band after a few sessions and Thorsten is coming as lead guitar player as well as Stephan as another vocalist. Adrenalize have now six band members and have to start from zero. Ambitious songs are played, for example ‘Seven Seas’ by the Poodles or ‘Edge of Thorns’ by Savatage. The band reaches a new quality level but new social conflicts come up and two members have to leave after just one gig as support for a local cover band. The three guitar player become two and Markus (who is also still member of the band) comes to the band as replacement for Thomas. The next step on the ladder of quality is made. ‘Mark 3’, the next line-up is born in December 2008. The excitement is big, but it is clear that Christoph has to leave the band in September 2009 because of a change in job. The ambition is great and the band wants to play one gig at least. Many old rock songs are part of the set. Many of them are still in the set of Adrenalize. Finally in August 2009, the boys have the chance to play in Highlander again. Andy is the only member from the last time. Andy, Markus, Stephan, Thorsten and Christoph are doing their best and they earn the respect of the audience and the innkeeper. After a good gig, next to Christoph Thorsten announced his sudden break up with the band. Andy, Markus and Stephan begin to slip in a long time with ups and downs and the search for the right band mates. The period of suffering takes about two years. It can be summed up as the chapter ‘Mark 4’. Various musicians come and go and during that time Ann-Kathrin as new female voice joins the band. Songs by Alannah Myles, Alanis Morrisette, Melissa Etheridge, Die Happy and Roxette find their way to the set as well as some German rock songs by Die Toten Hosen or Die Ärzte. 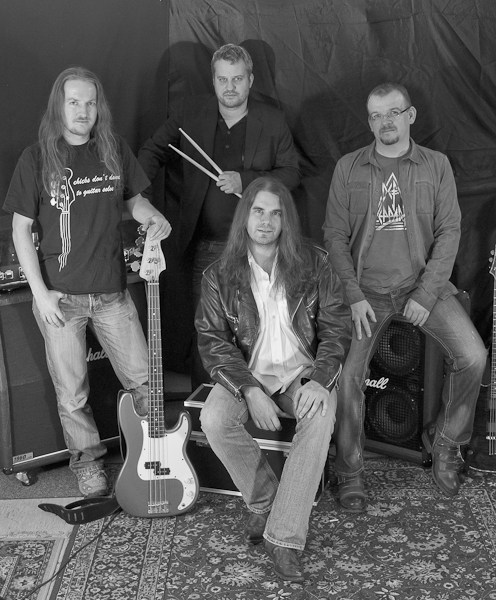 In 2010 the band plays one gig with help from Thorsten and Christoph as guest musicians. The remaining time the band spends time in the rehearsal room for musician casting and experimenting with new songs and styles. David as a new bass guitar player and in 2011 Melvin as a guitarist join the band. That line-up plays five songs at the Maisel’s Cover Band Contest in Bayreuth. Of course, the shattered band is not in the shape to win such a contest. After that, Melvin breaks up and the other five members spend more time with discussions than music. Finally, Ann-Kathrin and Stephan break up and three of them are left. Adrenalize Mark 6: I remember you!!! After David is gone, Adrenalize is looking for a new bass player and that is not that easy. Luckily, Andy remembers the predecessor who went to Köln for three years. Three years are over yet and that person is actual back again: Christoph. After a meeting Andy has convinced Christoph to be part of Adrenalize again. ‘Mark 6’ has been born. Only a few months later the first gig as support for a teacher coverband brings another member to the band. The next two years Ute is strengthen the backing vocals of the band. The experiment with another female voice in the band fails and Ute has never been a fitting member among the boys. After a long period and many gigs the band decides to break up with Ute in the course of the first album release. Nevertheless Ute helps the band during the reconstruction and the next step: the writing of own songs. The band wants to leave the cover music business by reason of promoting own work. In 2015 many gigs and the recording of the first eight songs marks the most successful year in the band history. The album shows the band in their thitherto-best shape. Finally, the band is complete and coordinated, the musical direction is clear and the hunger for more is greater than ever. 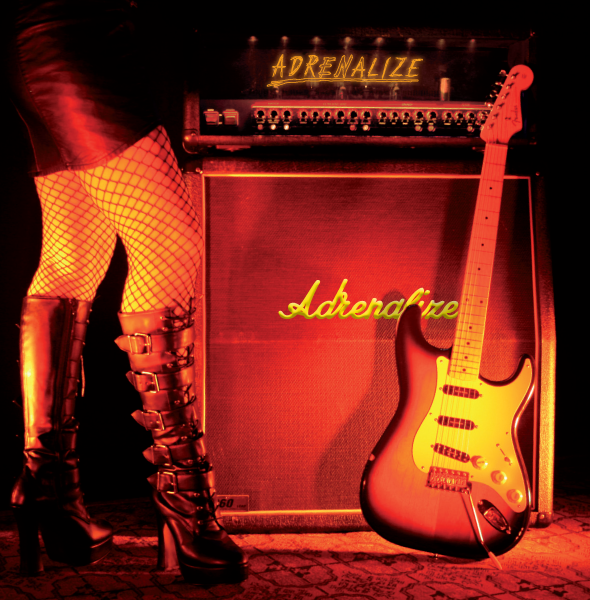 ‘Adrenalize’ is the name of the first album and can be purchased on the webpage in the ‘Shop’ section. Hopefully, many people are able to listen to the first strike of Adrenalize music! We’ll still be there for you!